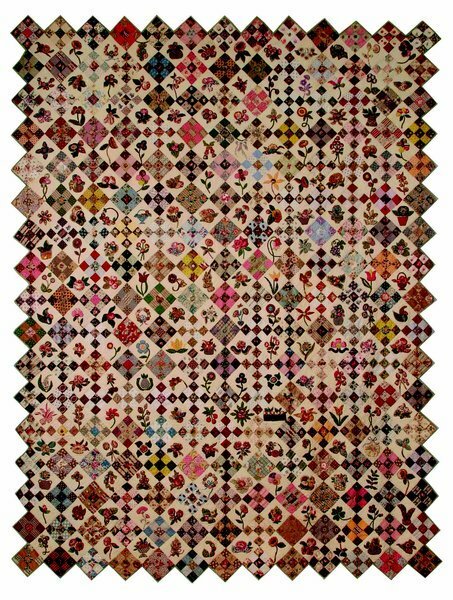 This stunning Florence Peto Quilt was actually made after she completed her Calico Garden "baby quilt". The Posey Packets© are the patterns for 72 of the 3" appliqués from this marvelous quilt. To make a quilt as large as hers, merely repeat the flowers, changing them up a bit, create borderie perse appliqués, or design your own small flowers. The quilt is bound around the Nine-Patch edges. For discounts and free shipping on the Posey Packets© join "Florrie's Gardening Club" and learn even more history about Florence Peto, along with fun projects and recipes!